Yeah Kirill , the pyrenees bear is an awesome figurine and it's cub too , is very attractive and cute . I have them both . In my view , the muzzle of this grizzly seems to be perfect ....I like her claws and paws too ....nice finishing. Frankly speaking, I won't give this Papo bear too high marks, although it's a very decent figurine in general. But its main flaws are muzzle (when looking frontally at it) and the two conjugated legs. The cape buffalo is awesome, I have one myself. The hippo looks much better than Schleich one ... but its huge size also stopped me from buying it.... I think it's the same size with Schleich elephant. Can you please post picture of Papo brown bear together with Schleich one. 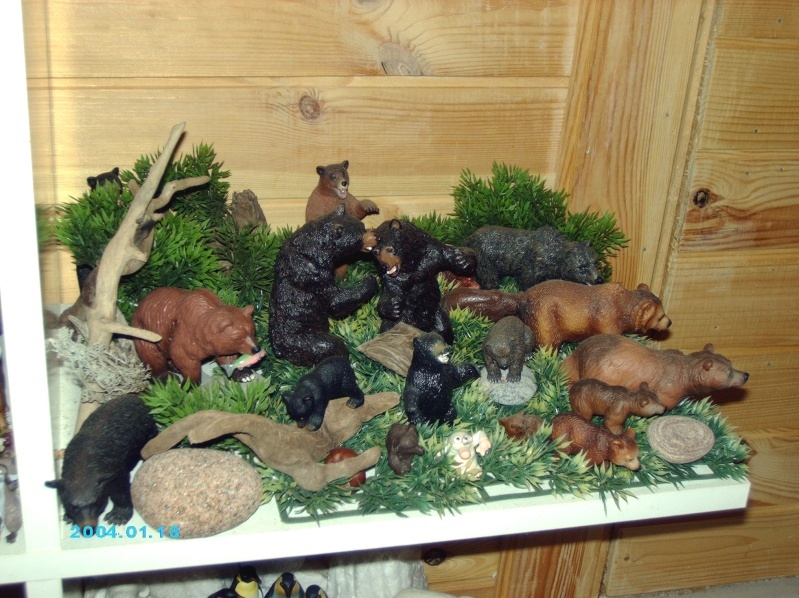 ...Can you please post picture of Papo brown bear together with Schleich one. I'll do it when I have time.